the game will have a male or female protagonist and multiple dialogue choices. The game is currently 75% completed and is expected to come out Fall 2017 for PS3 and PS4. I was just thinking about this the other day. I totally would have picked this up if it was for the Vita. Oh well. 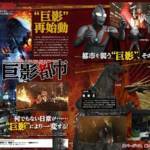 If Godzilla & Gamera is in this game could that mean a Movie crossover in the future? 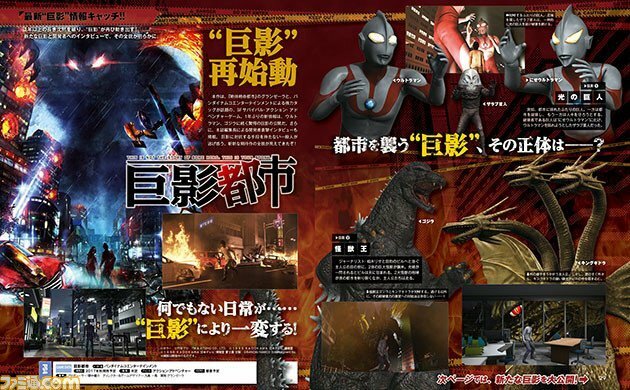 Doubt it, also even though Godzilla and Gamera appear in this, there wont be any crossovers between the 2. Also Toho doesn't really like the idea of a Godzilla and Gamera crossover movie. 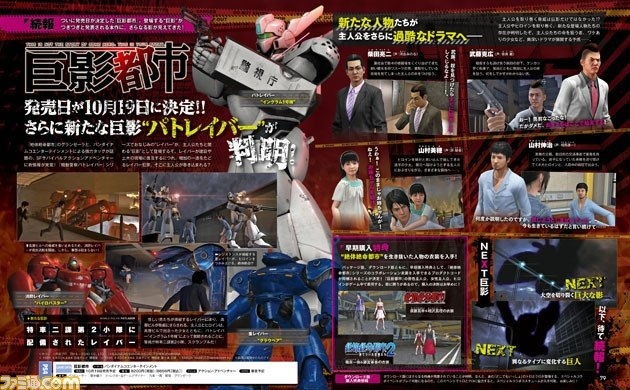 Another scan has been released, revealing the inclusion of… the robots from Patlabor?